Cut development costs by up to 75% ! Simply load your sensor data into the signal analyser and perform a detailed analysis. After identifying the wanted and unwanted components of your signal, design a filter and test the performance in real-time on your test data. Export the designed design to Arm MDK, C/C++ or integrate the filter into your algorithm in another domain, such as in Matlab, Python, Scilab or Labview. Advanced Solutions Nederland is a knowledge partner of Arm’s DSP core team. The Arm Cortex-M cores are at the heart of 80% of IoT applications. 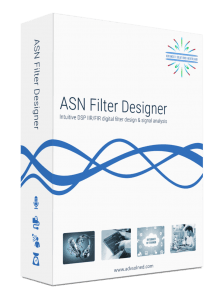 ASN Filter Designer is 100% compatible with Arm CMSIS technology. As an Arm DSP knowledge partner, we will be kept informed of their product roadmap and progress for the coming years.